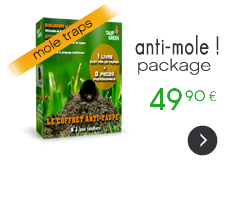 Welcome onto the website of the first French company using the technique of "traditional trapping". Today we are the privileged partner of profesionnals and amateur gardeners. Please leave me a message and I shall reply you duly. Jérôme DORMION " Le taupier du Roi "